At Farmers Win Coop we want to help dairy producers improve their profitability by helping them achieve their goals. “We try to purchase and manufacture feeds as economically as we can, and we’ve changed how we purchase feeds and feed ingredients to enable us to give our customers greater discounts. We want to keep both our customers and the co-op profitable,” explains Rod Torgerson, feed department manager. That includes helping producers manage their crops to put up high quality forages, so they can spend less on purchased feed and get the most efficiency out of their animals. Through our partnership with Purina Animal Nutrition, we bring you dairy products and technologies that have been proven in controlled research trials and field tested on farms like yours. 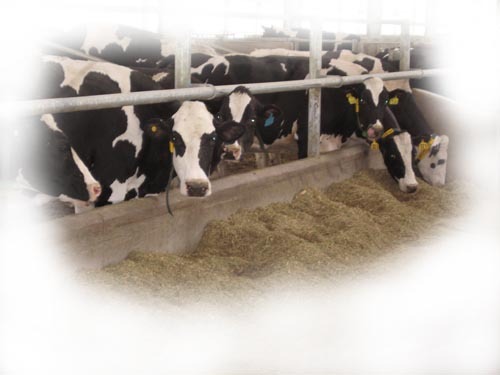 Feeds developed at the Purina Animal Nutrition Center in Missouri and the Land O'Lakes Animal Milk Products research farm in Iowa have resulted in some of the most exciting new technologies in calf nutrition and a breakthrough technology to help cows transition better. With Farmers Win Coop, dairy producers have the convenience of a local mill backed by the research of the #1 livestock and lifestyle feed marketer in North America.